This lesson plan will work best with ninth through twelfth graders, to allow for in-depth discussion of characterization and plot. However, it can easily be adapted to junior high and middle school students by adjusting the questions to their level of understanding about story structure. Keep in mind that male students may be less than thrilled about reading a romance novel, even one with werewolves and vampires. Use their dissatisfaction as a springboard to questions about why Edward Cullen is or is not a believable character and why teen males find his example so hard to live up to. Be prepared for some difficult discussion points and how you might handle any issues that come up beforehand. For example, Edward Cullen wants to wait until he is married before becoming physically involved with the main character Bella. Teen boys may state that this is unrealistic. As soon as the topic comes up, lay out some clear rules about the discussion and explain that they are not allowed to be crude or graphic in their descriptions. 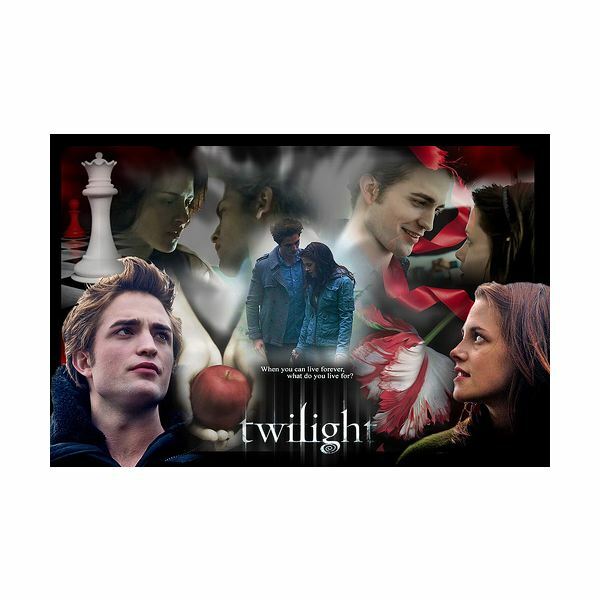 For the purposes of this lesson plan, your students will read the first book in Stephenie Meyer’s Twilight series, titled Twilight. This is the book where Edward and Bella meet and begin a romance to equal Romeo and Juliet. This book is 498 pages of reading. It is a rather lengthy book, but action packed, so students will be more likely to keep reading and not put the volume down. Students should be given time to read in class, since this book is so lengthy. Include out loud reading, stopping occasionally to check for comprehension by simply asking, “So what just happened in this story?” If natural discussion occurs when you ask this question, allow it to run its course. Also, include silent reading time to allow students to get through those nearly 500 pages. Twilight features 24 chapters. To complete the book in six weeks, students will need to read four chapters a week. This should be easily completed by combining class reading time with at home reading. Students should be expected to read a minimum of two chapters a week on their own. If you find that the in class reading is being completed more quickly than two chapters a week, you will simply finish more quickly than expected. Once your students have completed the book, you’ll want to spend a class period going over the discussion questions below. Many of these questions do not have a correct or incorrect answer, but will get your students thinking and talking about the book and its major points. 1. What do you think about Edward and Bella’s relationship? Is it realistic? Why or why not? 3. All of the Cullens seem to have special abilities/powers. What would your special ability be if you were a vampire? 4. Do you like Edward? Why? Why not? 5. Do you like Bella? Why? Why not? 6. Why do you think some readers get caught up in the world of Twilight? 7. How does the author keep you interested in reading the next chapter? (Have students discuss plot points, such as hangers that make you want to keep reading). 8. Do the characters have layers and dimension? Why or why not? 9. Would the book work as well if Bella weren’t clumsy? 10. Would the book work as well if Edward wasn’t old fashioned? 11. How do the secondary characters (Alice, Jasper, Charlie, Carlisle, Mike, Angela, etc.) enhance the story? Have your students read Shakespeare’s Romeo and Juliet, then ask the following question. Alternately, you can have the students answer the questions in writing or essay form. 1. What are the similarities between Romeo and Juliet and Twilight? A fun treat for the class may be watching the movie together. After the viewing, ask them to compare the movie with the book. Some questions you may want to ask include what was cut from the movie to keep it under two hours and how it impacts the story line (better or worse?). Opinions will likely differ.